From a demographic perspective, the average age in the list is 60, the 24-year-old Ritesh Agarwal of Oravel Stays which runs Oyo Rooms, being the youngest and 95-year-old Dharam Pal Gulati of the masala brand MDH being the eldest. At a time when policymakers are grappling on how to reduce inequalities, a wealth report on Tuesday showed that there has been a 34 per cent increase in the number of Indians having a net worth of Rs 1,000 crore or more. Significantly, these individuals who number 831, collectively own a quarter of India's GDP with a net worth of $719 billion, says the report, which quoting the IMF April 2018 data pegs GDP at $2.85 trillion. 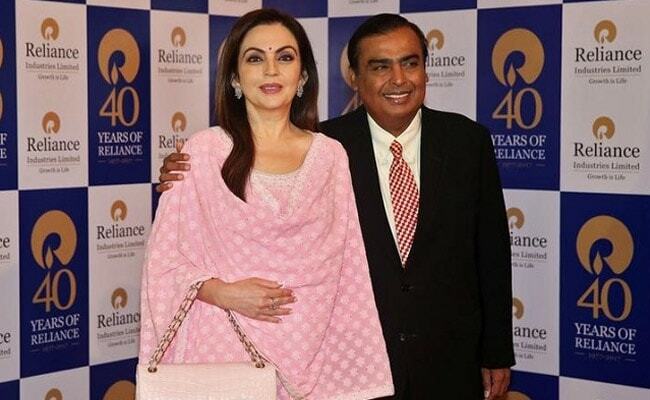 Led by Reliance Industries chairman Mukesh Ambani with a net worth of Rs 3.71 trillion, there were 831 Indians having a net worth of Rs 1,000 crore or more in 2018, which is 214 individuals more than the 2017 list, according to a Barclays-Hurun India rich list. In a January 2018 report presented by Oxfam at the World Economic Forum, had expressed concern on the rising inequalities, stating that 1 per cent of the country's population holds 73 per cent of the wealth. Mumbai, which presents stark contrasts like housing Asia's largest slum as well as the costliest mansions like Mr Ambani's Antilla, has the highest number of contribution to the rich list, with 233 high net worth individuals. Mumbai was followed by Delhi, with 163 and Bengaluru, with 70. Anas Rahman Junaid, managing director and chief researcher at Hurun India says the country is the fastest growing when it comes to people entering the rich list. "The number of Rs 1,000 crore-plus wealthy Indians have nearly doubled in the past two years-from 339 in 2016 to 831 in 2018," he said. There was a massive, 157 per cent spike in the number of women in the list, which grew to 136. Pharma sector promoters/executives dominate the list with a 13.7 per cent occupancy, followed by software and services at 7.9 per cent and fast moving consumer goods at 6.4 per cent. Nine individuals in the list saw a doubling of wealth in 2018, with Krishna Kumar Bangur of Graphite India being the biggest gainer with a 430 per cent jump in his personal fortunes.